Capitals vs. Islanders: Who would you rather face? The Rangers are waiting for the winner of the Capitals-Islanders series to emerge, with Game 7 coming on Monday. Who would they fare better against? Photo courtesy of MSG Photos. With their win on Friday, the Rangers became just the second team to clinch a berth in the second round of the 2015 Stanley Cup Playoffs, and the first team in the eastern conference to do so. Every other team in the East is still battling it out while the Rangers get some precious time off to heal and relax. The Ottawa Senators are attempting to complete a comeback against the Montreal Canadiens, down 3-2 but with the series heading back to Ottawa. The Tampa Bay Lightning find themselves in a surprising 3-2 hole to Detroit with the series going to the Joe Louis Arena for Game 6. But the series that Rangers fans care about the most is the Washington Capitals against the New York Islanders. The Rangers will take on the winner of that series, which is still being played. These two teams played on Saturday afternoon, with the Islanders picking up a crucial Game 6 victory at the Nassau Coliseum to send the series back to the Verizon Center for Game 7. It’s been an extremely close game, with tons of hard hitting and chippy play all over the ice. Pretty much every Rangers fan was hoping for a seven game series, so that these two teams can tire each other out for as long as possible. With Game 7 looming on Monday night, and the Rangers fans keeping a close eye on that series, the question remains; Who would you rather face, and who do the Rangers match up against better? Under new head coach Barry Trotz, the Capitals were able to become a defensively responsible team, aided by the additions of Brooks Orpik and Matt Niskanen, as well as the gritty Tim Gleason at the trade deadline. With Braden Holtby in net, a 41 game winner in the regular season, has carried over that success into the postseason, Washington is strong from the back end out. Alex Ovechkin is arguably the best pure scorer in the NHL, with 53 goals in the regular season and another two in the playoffs. Nicklas Backstrom is one of the most underrated centers in the NHL, finishing the regular season with 78 points (18-60-78). 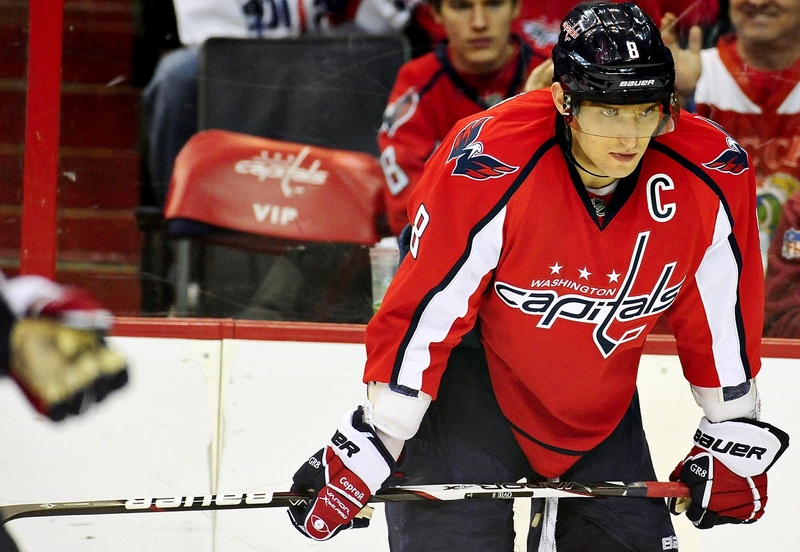 He has been the best player for the Capitals in the first round, with three goals and three assists in all six games. Photo courtesy of Evan Habeeb – USA TODAY Sports. But once you get past those two, as well as John Carlson (12-43-65) on the back end, there’s not a whole lot of depth there. Marcus Johansson (20), Troy Brouwer (21), and Joel Ward (19) are next in line. Then the scoring starts to dip off. This is a team that is too top heavy, with three of their leading scorers in Ovechkin, Backstrom, and Ward all playing on the top line. If you can contain the top line, there is a good chance you can contain most of their scoring. And while Holtby has been good, he has played a lot of hockey. Five playoff starts (he was sick for Game 2), with two of them going to overtime, combined with 72 starts in the regular season, and it’s fair to question if you will see some signs of fatigue in any future rounds. 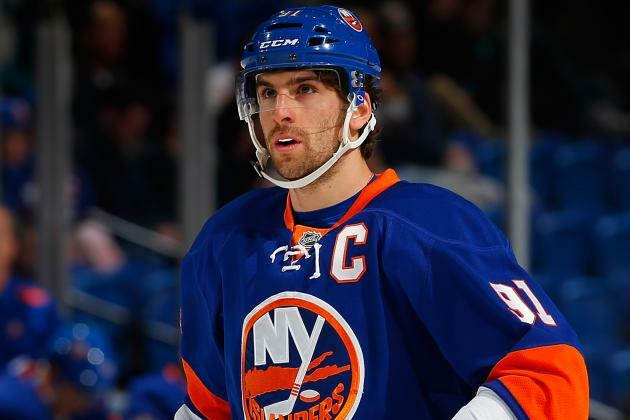 The Islanders are led by their captain John Tavares, my personal pick for the Hart Trophy for the league’s MVP. Tavares was second in the league in scoring, posting 86 points (38-48-86), and adding six more points (2-4-6) in the playoffs. Taveres is one of the most skilled players in the entire league, and is dangerous with and without the puck. Photo courtesy of Mike Stobe – Getty Images. With guys like Anders Lee, Josh Bailey, Ryan Strome, Brock Nelson and Kyle Okposo alongside Tavares, he has a lot of support when it comes to goal scoring. The additions of Nick Leddy and Johnny Boychuck helped bolster their defense as well, but injuries to Nikolay Kulemin and others have the bottom two pairings a bit thin. This aspect of their team isn’t as strong as the Capitals. But the goaltending remains a question. Jaroslav Halak had a solid outing in Game 6, but he hasn’t been all that special in this series. Down the stretch of the season, Halak looked permeable, letting in goals from all sorts of angles. With all of the depth scoring that the Rangers have, they can certainly take advantage of Halak in net. From watching this series, it does seem like the Islanders’ scoring has dried up. Part of it has to do with Holtby’s terrific play, but they also haven’t finished on some of their chances. It also has to do with head coach Jack Capuano constantly switching lines and scratching players (scratching Anders Lee in Game 6. Really?!?!). While everyone would love to see the battle of New York in round two, I think the Capitals would be an easier matchup for the Rangers. 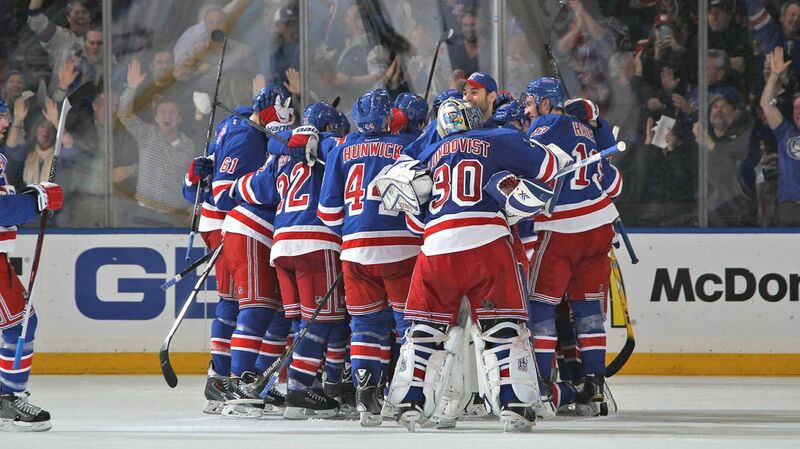 The Rangers have fared well against the Capitals in the regular season, losing just once in five games. Ryan McDonagh and Dan Girardi have been able to neutralize the top line of Ovechkin, Backstrom and Ward, with the other defensemen doing a solid job on the rest of the team. Although Holtby has had a great season, the Rangers have not had a problem figuring him out, scoring 13 goals in four games against Holtby. The Capitals couldn’t handle the Rangers’ speed, and I think New York would be able to dictate play in a playoff series as well. This doesn’t mean that I don’t think the Rangers could beat the Islanders, because I do. I just think they would have an easier time against the Capitals in the second round. Posted on April 26, 2015, in In the Crease and tagged 2015 Stanley Cup Playoffs, Alex Ovechkin, Capitals, Islanders, John Tavares, Madison Square Garden, MSG, New York Islanders, New York Rangers, NHL Bracket Challenge, NHL Playoffs, NY Rangers, NYR, Rangers, Rangers Nation, Rangerstown, Washington Capitals. Bookmark the permalink. Leave a comment.